This is a great dish if you use good fish. 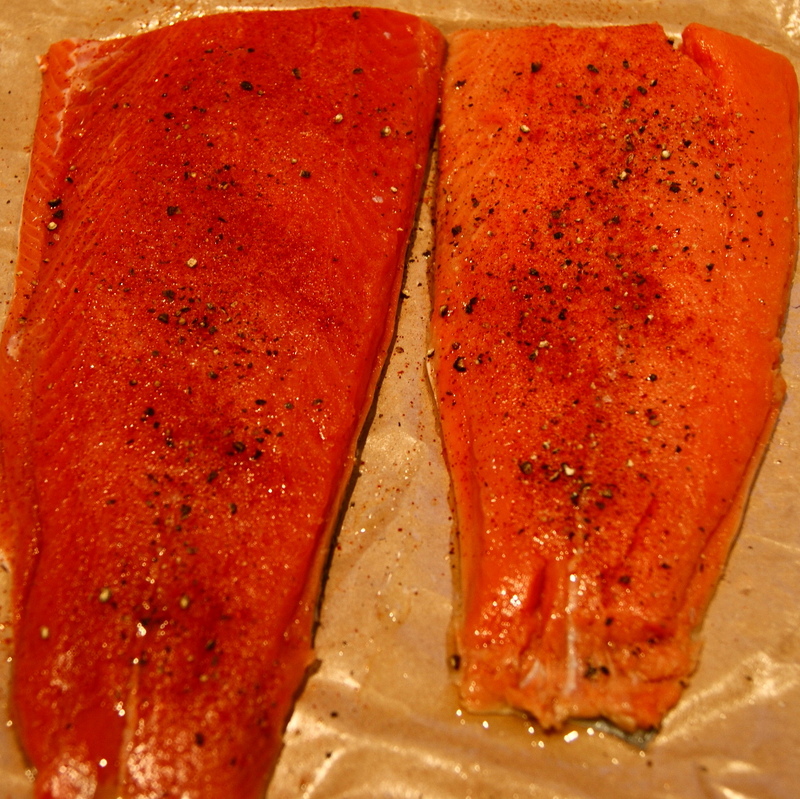 The ingredients are simple and all you have to worry about is not overcooking your salmon. Make sure there are no bones in your fish. Coat both sides of the fish with olive oil and season with the salt, pepper and paprika. 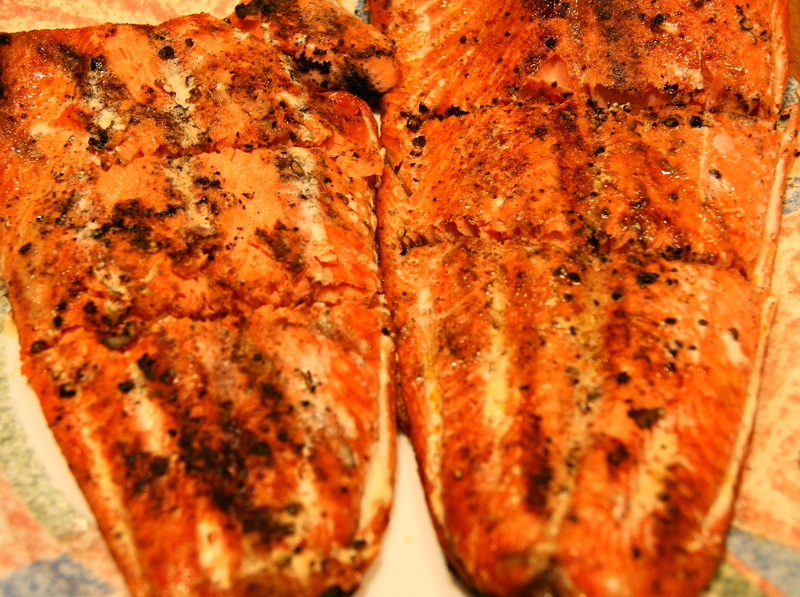 Place fish skin side down on a hot grill and cook on one side till almost done to your liking. Flip over for one minute. Remove to a serving plate. 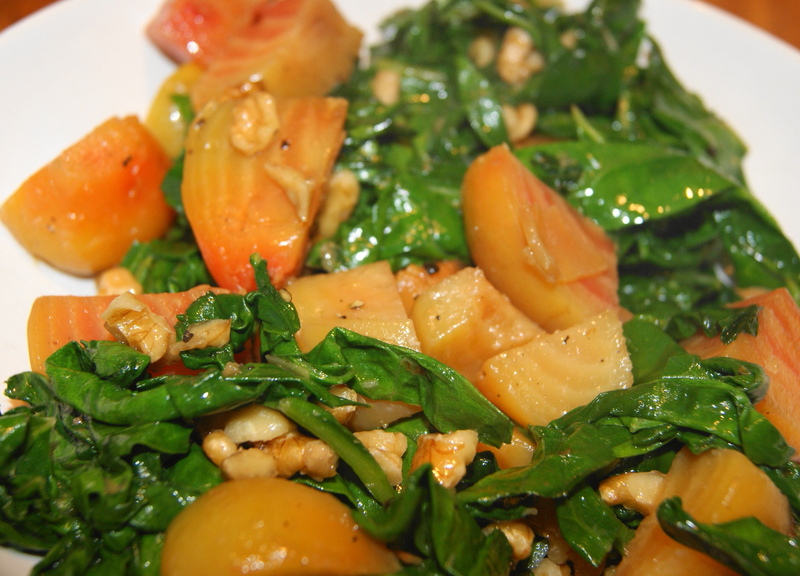 Serve with Swiss chard and beets and top with yellow mango salsa. 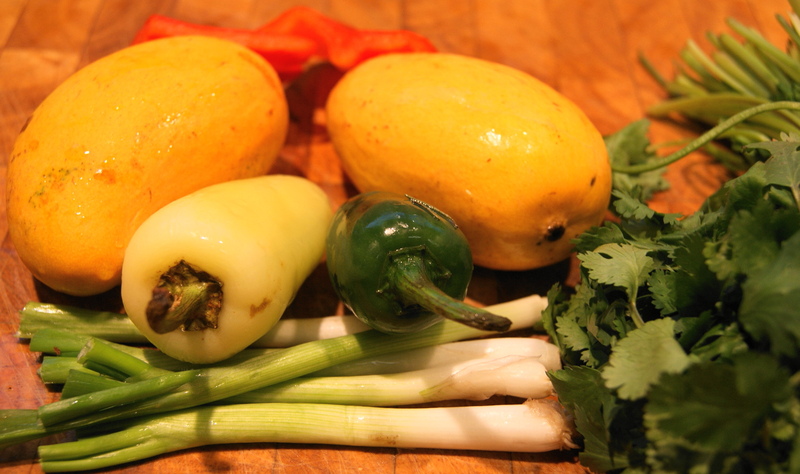 I made two salsas, one mild and one hot with jalapeno and habanero peppers. To my surprise the salsa was not really hot.